Sundays and Wednesdays are sacred at the Island House. Strip down to whatever is most comfortable, sip on signature cocktail specials, and enjoy free shots from our friendly naked pool boys! Raffles, giveaways, music videos, and did we mention naked pool boys? 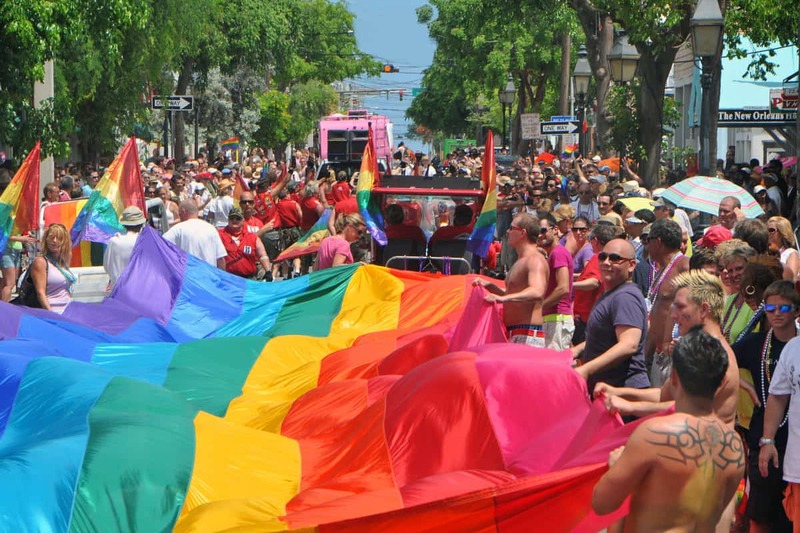 Key West Pride in June is one of the flagship annual events of Gay Key West. 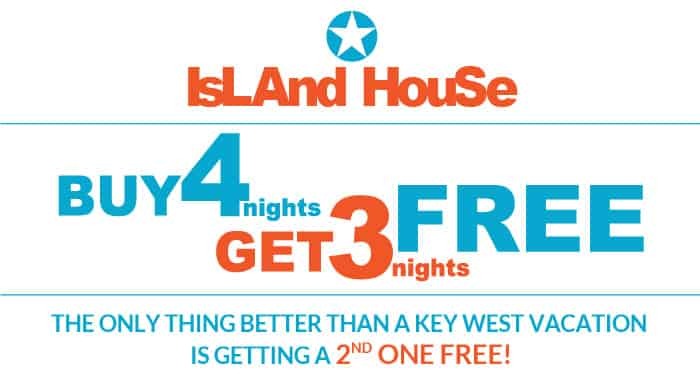 Island House is highly involved as "home base" for Pride, as we celebrate the official city motto of Key West, "One Human Family." The semi-annual "Bone Island Bare-It-All Weekends" are held in early July and early December. These events bring the largest group of frisky gay male nudists to the island. Enjoy naked pool parties, naked shopping, naked dinners, and all-male fetish parties. Tropical Heat is held annually in August, and remains one of Key West's hottest events for men. All-male pool parties, fetish parties, and adult-oriented entertainment showcase the island's best gay venues. Four days of hot and steamy fun! Key West Bear Weekend is held in November, welcoming bears and their admirers for a furry and frisky party weekend. Bear Leather Ball, bear shopping events, and epic pool parties let you embrace your furrier side! Fantasy Fest welcomes a whopping 40,000 revelers for 10 days! Partake in dozens of themed costume parties, street fairs, art exhibits, live music and tea dances. 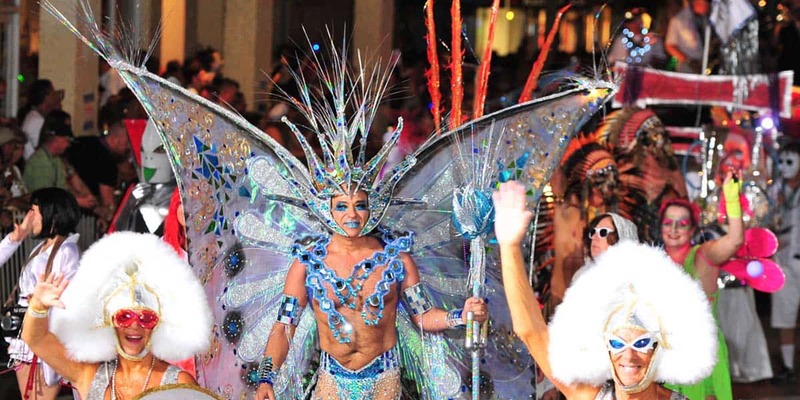 And don't miss the spectacle Fantasy Fest parade along Duval Street! 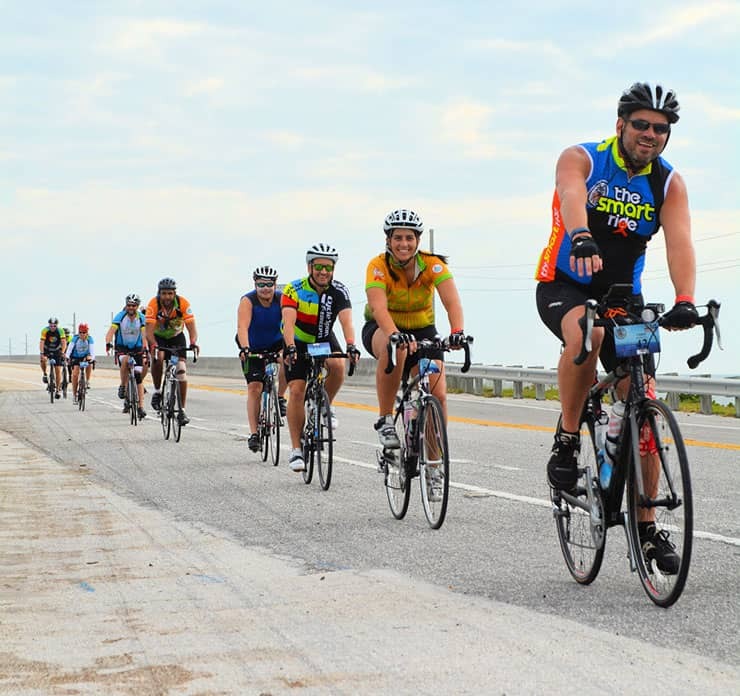 The SMART Ride is a two-day long fundraiser bicycle ride, beginning in Miami and riding south 165 miles to Key West. 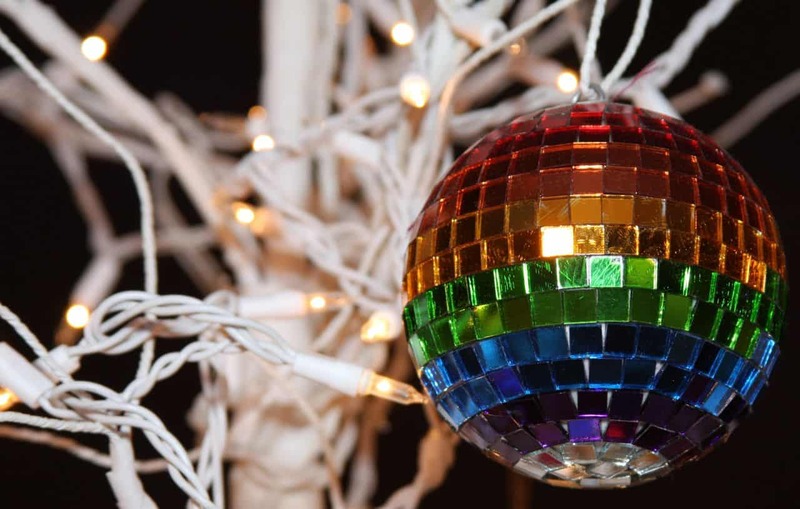 This is one of the biggest HIV/AIDS fundraisers for many South Florida agencies, including AIDS Help Inc.
Thanksgiving and the holiday season are a surreal time to experience a tropical climate. Key West bursts with holiday cheer, hilarious charity fundraisers, unique offerings at bars & restaurants, and one-of-a-kind holiday shopping options. Key West is one of the country's most popular destinations for New Year's Eve. 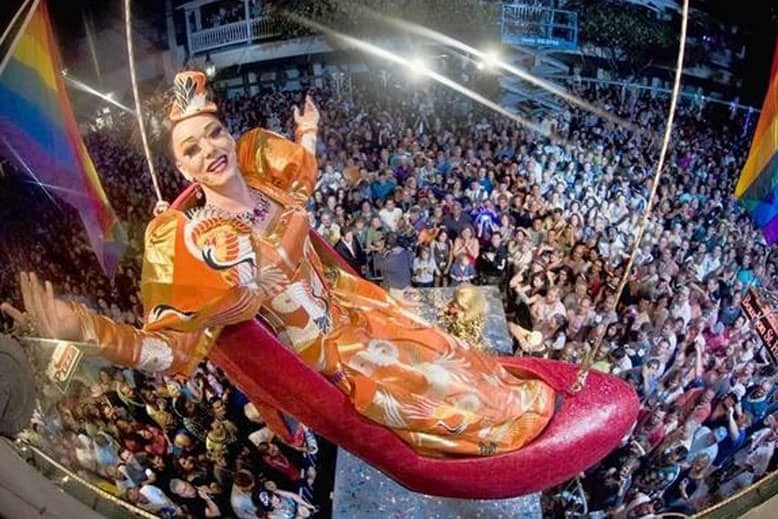 Local drag celebrity "Sushi," has been on CNN for years as she is dropped in a red high-heel shoe from Bourbon St. Pub onto Duval Street!